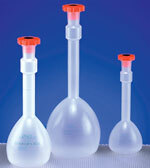 The PFA volumetric flasks with screw closures feature high translucency and individually calibrated ring markings. 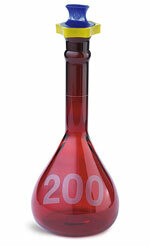 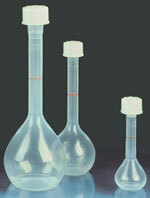 These plastic volumetric flasks are calibrated to contain (TC) volumes ranging from 25 ml to 500 ml. 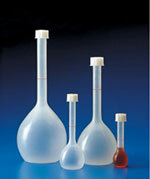 The PFA screw closures with molded sealing rings provide hermetic seals and safety from outside contamination. 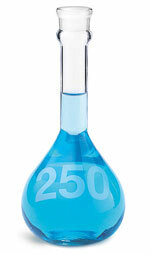 Withstands high temperatures (270°C) and has outstanding chemical resistance. 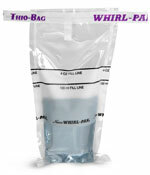 Leakproof. 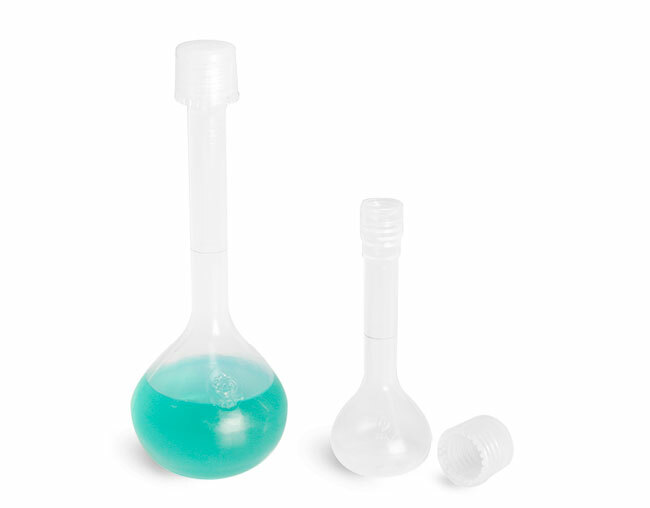 Produces excellent results in ICP-MS, production and storage of trace analysis standards, isotope separations, sample digestions and more. 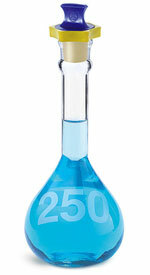 These volumetric flasks are autoclavable at 250°F and can be sterilized via dry heat, gas, gamma irradiation or chemical disinfectant.